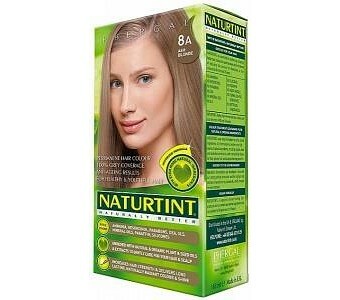 Naturtint is a welcome first: a penetrating, long-lasting hair colour based on botanical ingredients, enriched with nurturing natural oils and extracts, and free from the harmful chemicals present in most permanent hair dyes. Naturtint contains no ammonia, diethanolamine (DEA), mineral oil, parabens, paraffin, resorcinol, silicone or sodium lauryl sulphate (SLS). Yet it covers grey instantly and completely and gives hair a beautiful ash blonde colour that lasts and lasts. Also unlike other colouring products, Naturtint actually improves hair quality and scalp health as well as colour, leading to stronger, softer, smoother, younger-looking locks. Naturtint works with a complex blend of ingredients: Linseed extract helps the colour sink into the hair shaft so it won’t wash off. Sunflower extract protects hair from sun, dryness and other damage so the colour stays richer for longer. Wheat protein strengthens strands of hair so they’re much less likely to break. Ceramides keep hair hydrated so that it feels softer and smoother. Meadowfoam seed oil and lemon water shield the scalp from the effects of the colouring so it doesn’t become dry and flaky. It all adds up to high-quality colour from a more natural formulation that also provides repair and protection to keep hair healthy as well as beautiful.